Last week I wrote my article recommending who to play, and then the day later Joe Flacco was confirmed to be inactive. I immediately switched Lamar Jackson in at QB on all of my teams – and it went well. 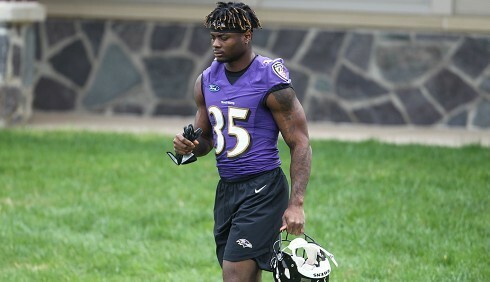 The Ravens’ rookie costs only $5,700 but he is literally playing college football, and he’s against the Raiders, so it’s a win-win. The Baltimore gameplan went from using their signal-caller as conservatively as possible and playing boring football to suddenly running a zone-read-option offense built around their young double-threat rookie. He’s also got the potential for a good stack with Gus Edwards who they use as the RB on those read-option plays. Last week he ran the ball 27 times… That’s one less carry than Leonard Fournette. You can literally put a running back at QB, with Jackson. If Lamar Jackson put on 35lbs and started dabbing he’d be more than welcome in Carolina. 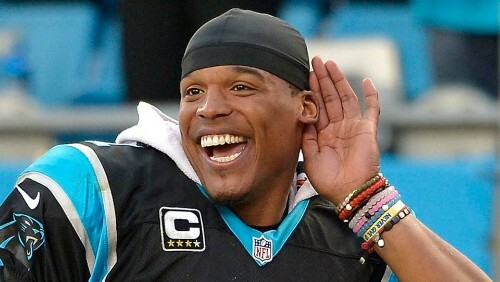 Cam Newton is one of the most reliable Quarterbacks in the league, averaging 24.1 fantasy points per game (second on this slate only to Big Ben) and he’s a very reasonable $6,200 this week against the Seahawks. His rushing floor and underrated passing ability gives him both safety and upside, what more do you want? The Seattle secondary is better than their play in the trenches, meaning that running should be part of the gameplan, and they don’t need to contend with the 12th man as they’re at home. Don’t feel bad, I didn’t know who he was last week either, when he rushed 17 times for 115 yards and a TD… I know right. 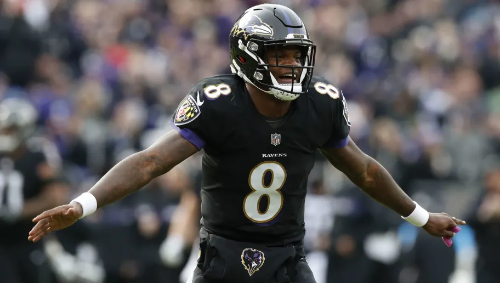 That game he had last week isn’t going to suddenly be the new usual for the Ravens running back (RB3 until Jackson started), however you can be relatively confident that if Lamar Jackson is on the field, Gus Edwards is John Harbaugh’s favourite compliment in the backfield to the read-option offense. Flacco is out again, so make use of potentially the last week this season that you can use him, at $4,400. 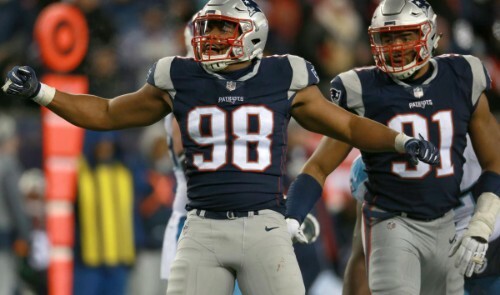 It’s very possible to shut down a predictable offense, even if it’s built around something so uncommon in the NFL, but I am relatively confident that the abysmal Raiders defense is going to give them one more week of fun. As I alluded earlier, Leonard Fournette gets an inhuman amount of carries – but he doesn’t do it as a one-off. In his last two games (after returning from injury) the Jaguars bellcow has had 29, and 30 then touches – with the vast majority of those touches coming on the ground. 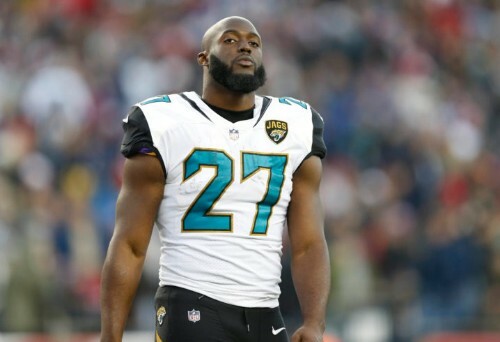 Whenever there is a running back who gets the ball that often, you’re looking at a very high chance of success, and when you give someone as talented as Fournette that volume, they’ll make something happen. Every single week he has multi-Touchdown upside, and a stable floor due to his workload. At only $6,900, compared to the likes of Saquon Barkley’s $9,100 (you can start him anyway) or Melvin Gordon’s $8,600, he is an absolute bargain. The only person who offers better value for their price at the position this week is Gus Edwards. 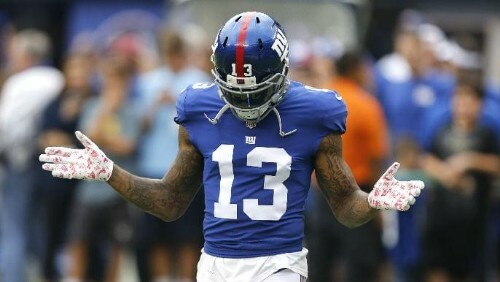 Elite Talent, Perfect Matchup, Huge Volume – Odell Beckham Jr.
My tips are here to advise you who provides good value, and so I often give options which are either bargains or are relatively costly but are worth it – this is one of the latter types of pick. The Giants face the Eagles this week, and so both Saquon ($9,100) and Odell ($8,800) are the most expensive players at their position for this slate. I’m not scared of paying for either of them, though – in fact I’m starting both of them in some lineups. Beckham is going to feast against this Philadelphia D, which is the 30th ranked against WR’s in the league, and which loves giving up catches to wideouts. A secondary which gives up a lot of catches facing up against a wide receiver who averages 11 targets per game (tied-4th in the league) – it could get messy. I’m projecting OBJ to bring in around 6 or 7 catches for over 100 yards and a Touchdown, which would give me comfortably over 20 points. 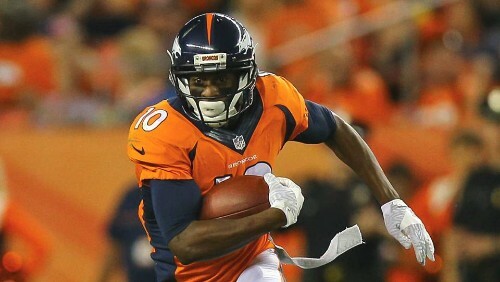 The Denver Broncos passing offense has been something to behold this year, they have been productive, but in a very under-the-radar way, particularly in the form of Emmanuel Sanders, who without anybody really noticing is sat on the brink of WR1 (currently the 13th best in PPR formats, but behind Cooks and Woods who are having their late bye-week), averaging 18 fantasy points a week in DraftKings. Sanders’ consistency is what makes him so good, his reliability to get double digit points (having only failed to do so in one game, where he got 9) allows for you to lock up your WR2 spot in your lineup for a very reasonable $5,500 against a bad Pittsburgh defense, with a very high likelihood of Denver chasing the game. Okay so this is a bit of an outside pick, but I actually like it a lot. 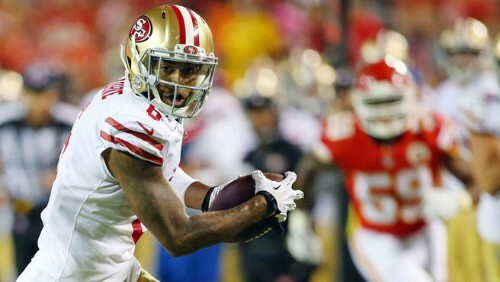 For those who don’t know him – everyone reading this – Kendrick Bourne is a wide receiver for the 49ers, who starts at wideout when Pierre Garcon is injured, which he currently is. Over the last three weeks, starting, Bourne has averaged exactly 10 points per game, in absence of veteran Garcon. Bourne comes in at only $3,900, whilst on the road to Tampa Bay, who are a perfect matchup, and he has legitimate upside this week. If he only gets you 7 or 8 points, he’s still facilitated the rest of your team due to his low price, but he has the real chance of delivering great value if he can put up more, and hopefully reach the endzone. This is probably the easiest pick of the whole week for me, arguably behind Lamar Jackson, but this really does feel like an awesome value pick this week. 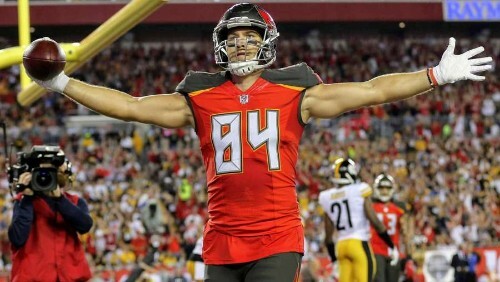 O.J Howard’s season-ending IR designation opens up for Cameron Brate to return to his preferred role as the single Tight End, which automatically increases both his floor and upside. The thing which I like even more than removal of competition is the starting QB, Jameis Winston loves throwing to the Tight End, Ryan Fitzpatrick does not – in games where Winston played, Cameron Brate averages 5.6 more points in PPR, and he gets more than double the receptions in those games. For only $3,600, Brate is an auto-start in every DK lineup for me this week. This is a first, and it might be a last. 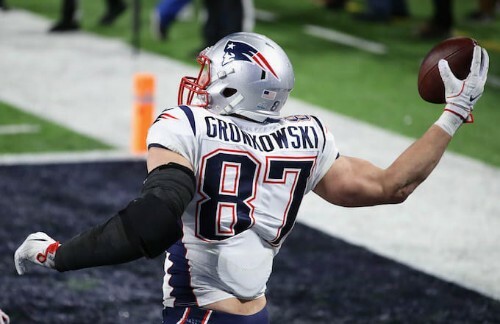 I will almost never use Rob Gronkowski in DFS, because he’s always criminally expensive, and he might get injured. Well this week he is priced at $5,100, which is $1,100 less than George Kittle, and a remarkable $1,300 less than the highest at the position in Zach Ertz. This is as cheap as you’re ever likely to pick up the Patriots Tight End, which is enough reason for me to mention him here. He is facing up against the subtly tough Jets defense, which is the 1st ranked D against TE’s according to DraftKings, but they haven’t faced the best TE in the league yet. For what it’s worth, I’d definitely go Brate and then spend the extra money I save on upgrading my RB2 or WR2. God, I hate defenses in DFS. Every week it’s the same story, one or two defenses will absolutely jump off the page, but they’ll cost more than your starting Tight End and so I avoid wasting my money on them. This week there are a couple of top teams, but for me it’s the Patriots who are the highest I’d spend up for. At $3,100 they aren’t completely ridiculously expensive, and they get to face the Jets, who are usually good for at least one interception. I suggest the New England pick up, yet I will admit quite happily that I’m more likely to have the Bills or the 49ers because I have no money left after putting together an insane lineup elsewhere.